As we return from Labor Day, there are now more Americans working than at any other time in our nation’s history. Yet, there are still 6.7 million unfilled positions. There is no better time to encourage workers, who have been on the sidelines of the labor force, into the workforce. The Senate has a chance to do that by passing important reforms in the Agriculture Improvement Act of 2018 (H.R. 2) — commonly known as the farm bill — that strengthen work requirements for food stamp recipients who are able to work. As the farm bill conference convenes to reconcile differences with the House-passed bill, lawmakers should keep enforceable work requirements that are paired with needed work-training funding, close loopholes that allow states to waive work rules, and support efforts to increase income for SNAP households such as child support enforcement. 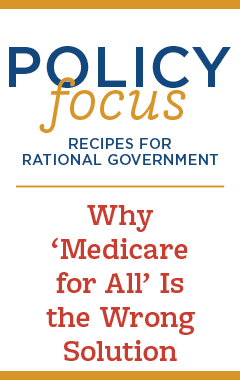 Work rules in public programs are vilified by those who think people are better off solely depending on government for a check than their ability and effort to work. Yet, most Americans disagree. Some 82 percentof voters support requiring that able-bodied adults either work at least part-time or participate in job training to receive food stamp benefits. Real-life examples demonstrate how people’s lives get better when they gain independence. Implementing work requirements in Kansas moved tens of thousands of individuals from public aid to employment that more than doubled their income — enough to replace lost benefits. These were not just low-wage jobs, but opportunities industries from nursing to finance. Consider a previously unemployed Kansas woman on foods stamps for over one year who is now earning $53,000 a year in commercial baking or a Kansan on foods stamps for over 3 years who landed work in ambulatory healthcare services earning $37,000 a year after being previously unemployed. Opponents of stronger work rules also claim that SNAP recipients actually do work because of the work requirements already in place. However, they overestimate work participation among able-bodied food stamp recipients and underestimate the abuse of work requirements waivers by states. Of the 3.8 million childless working-age SNAP recipients who are not disabled, only a quarter (26 percent) of them are working and their wages are low — about $367 per month on average. Nearly half of these individuals are women. These are not children, pregnant women, disabled or elderly Americans. Truly vulnerable groups should have full access to the safety net. Now is the time to help working-age, able men and women who may want to work but need skills training or education do so. The House bill does that by boosting employment and training funding with $1 billion. States have the flexibility to triage these resources. Some job seekers do not need as much assistance as others, so providers can target greater resources to those who need more work and training assistance. 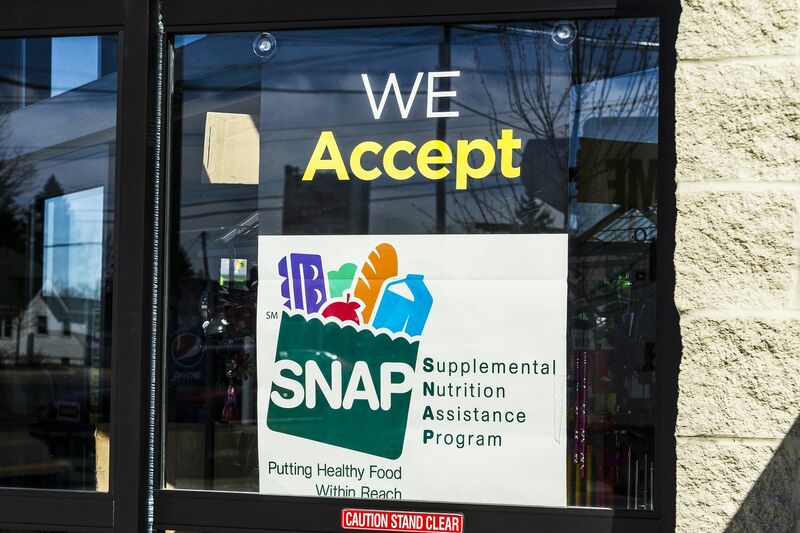 In addition, the House bill has an idea to bring an estimated $5 billion of additional income to SNAP households per year: require that single parents cooperate with child support enforcement as a condition for food stamp benefits. Some states have required child support cooperation for cash benefits, but few have expanded that to food stamps. When Kansas experimented with the idea, it led to poor families gaining an estimated$1.8 million more in child support each year. Child support issues are messy and there are reasons that custodial and noncustodial parents will work around child support systems. It’s important to ensure that any enforcement reforms treat noncustodial parents fairly and don’t create new incentives to hide the financial help that they provide. Growing welfare programs with able-bodied adults is irresponsible andlimits resources for truly vulnerable Americans. With historically low unemployment, now is the time to help all Americans get into jobs and careers that will better their financial situation. Importantly, they will build the skills and experience that help them remain employable if hard times hit again.